With the Inquisitor cutting a bloody path through Spain, the Shade and La Sangre are joined by one of the local heroes, Montpellier, to try to hunt him down. This isn’t really what I expected from James Robinson returning to the Shade. 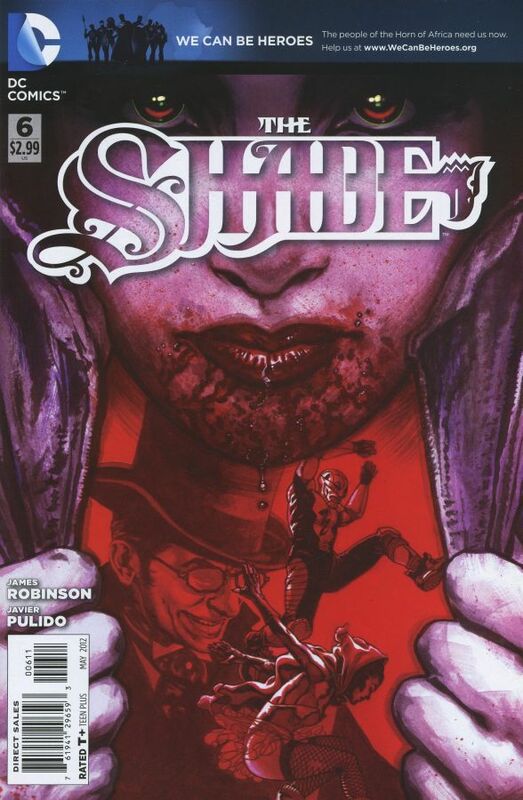 While there’s still plenty of cool weirdness (what with the vampires and all), it’s not as surreal as a lot of the previous Shade stories have been. It’s a more personal story, and a more straightforward one as well. None of these are bad things, it’s just a departure from what he’s done with the character in the past, and that may be turning off a few people. Javier Pulido is really perfect for this story. His style isn’t like your typical superhero comic. It’s a little darker, a little more Mike Mignola-esque. That Hellboy vibe is perfectly suited for this title and the characters that we’re playing with here. This halfway point helps show that the book is going into some different directions, but overall, I think that’s a good thing.